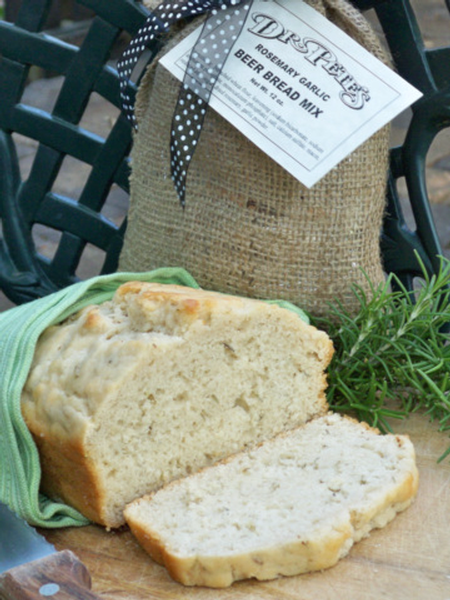 There is a simple goodness to Dr. Pete's Rosemary Garlic Beer Bread Mix. With minimal effort you get maximum flavor... Just add 12oz. beer & 2 TBLS. of melted butter to our Rosemary Garlic Bread Mix. Relax while the aroma of baking bread fills your home, and enjoy the layered flavors, the crusty outside, and the soft, yet chewy texture of your home baked bread. Always hand crafted in small batches in Ailey, Georgia.